A rare, genuine & very early 18th cent. 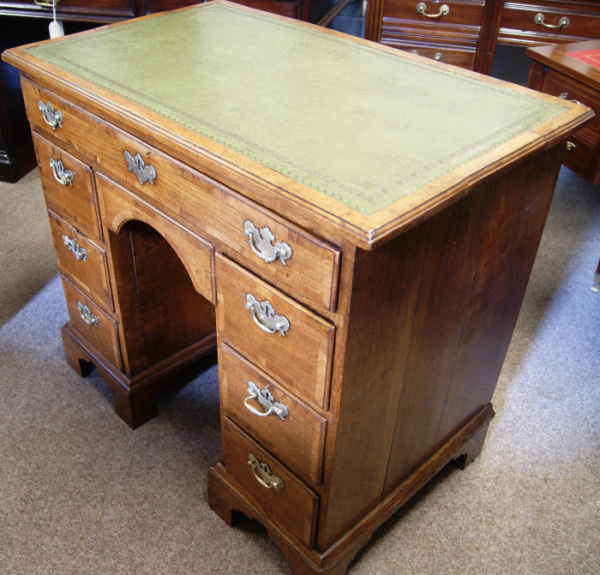 Irish, George 1st period solid Oak desk with delicate walnut edge banding, constructed circa 1720. 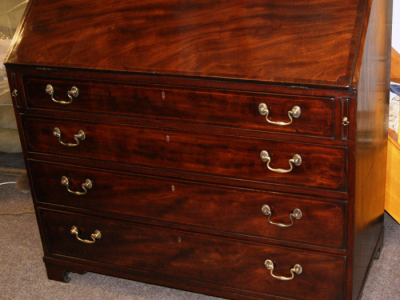 Seven deep oak drawers with original brass fittings & iron locks (no keys). 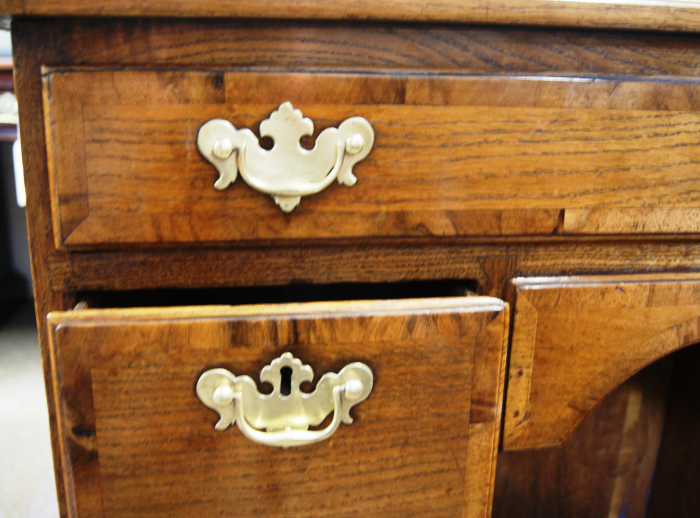 Center drawer with compartments. Cupboard with shelf beneath the central knee arch. 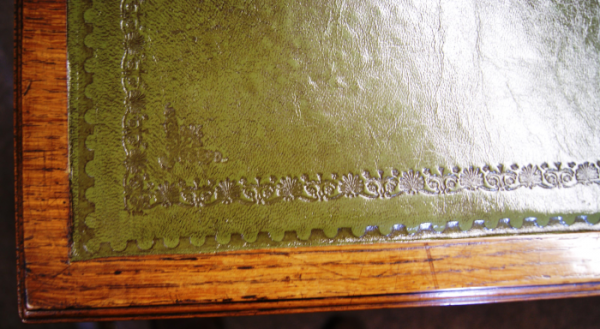 Later olive green, tooled hide leather writing surface. 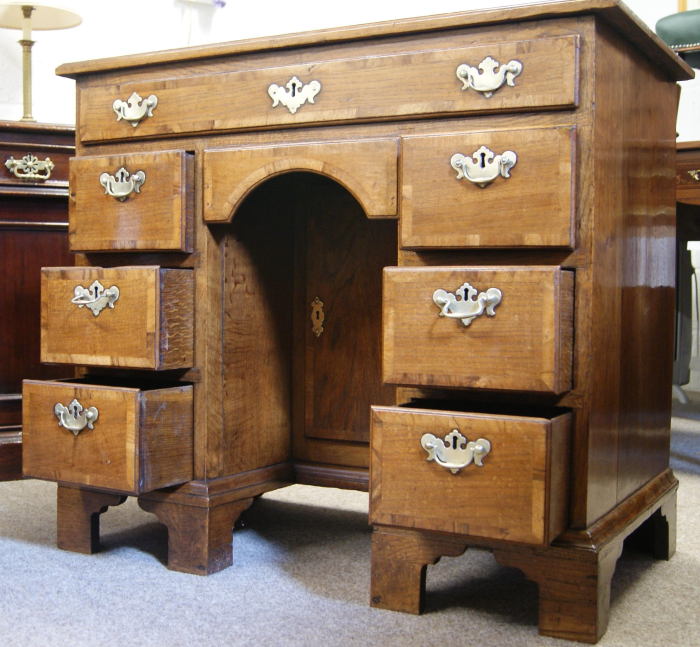 Full professional restoration & re-polishing & now offered in top showroom condition. 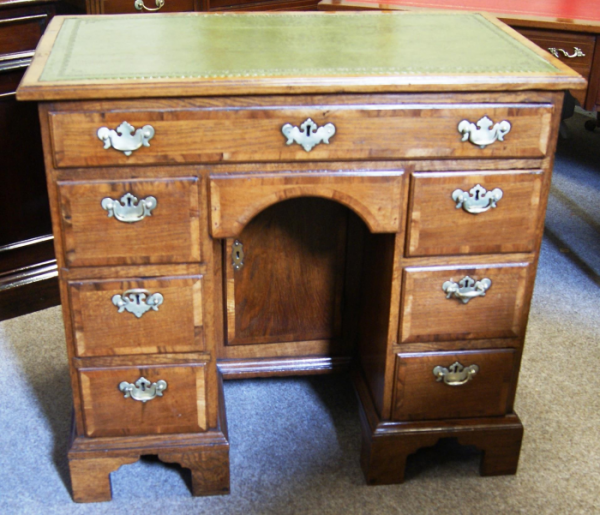 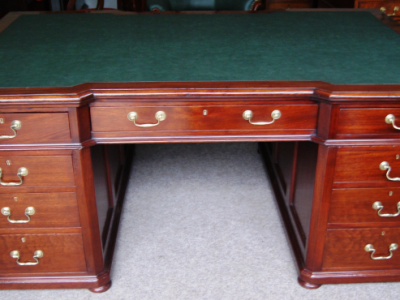 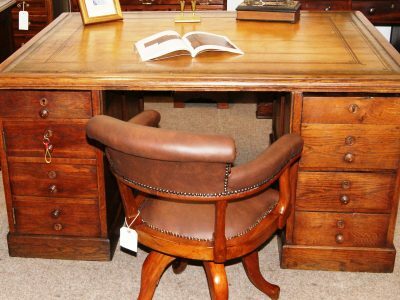 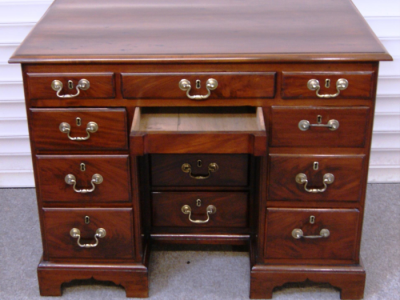 A really lovely small antique desk offering considerable storage space.